The survey was the online one we reported back in May and consisted of 810 people averaging 18 minutes to complete the questionnaire. Of course we wonder now how many of you skewed the results lending a sampling bias to Nielsen by not necessarily representing the average consumer (as opposed to “enthusiasts”). Ahem. 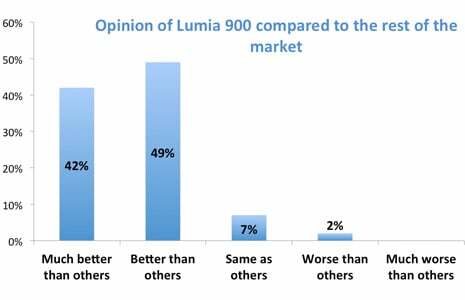 Interestingly, nearly two-thirds of the people sampled had purchased their Lumia 900 through AT&T in a store as opposed to an online dealer like Amazon Wireless. We don’t have any numbers for comparison but it’s clear that in-store purchases are still king even when heavy-discounts are offered online (Amazon Wireless is routinely cheaper than AT&T direct). 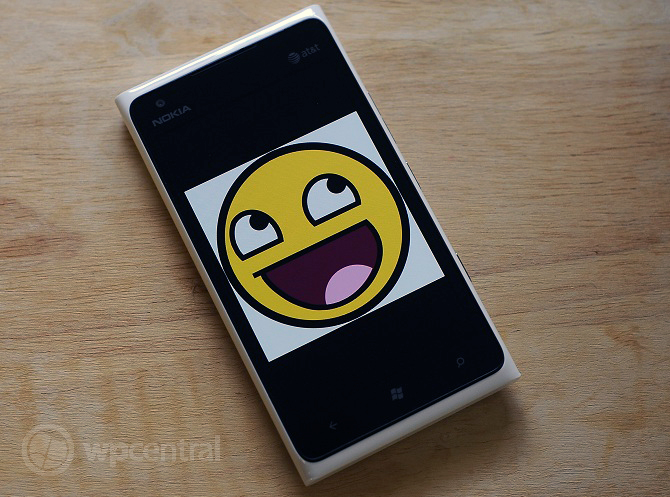 Having said all of that we don’t doubt that many Lumia 900 users, either average or enthusiast, are very happy with their purchase. Nokia tends to garner brand loyalty and we’ve already seen how “Lumia” trends higher than “Windows Phone” reinforcing that notion. Today’s results are just as impressive.